Well I have completed my first course with Jackie Ellis and Peter Baker from Flash and Longmor Community First Responders, who achieved the required standard. It wasn't a bad job really, but glad I am out of it now. A Merry Christmas and Happy New Year to all my clients, Past, Present and Future. Thank You for making 2008 an exciting year, looking forward to 2009. I recently met with Nigel Bowers and was lucky enough to have a demonstration ride with him. Although there is nothing new with this type of ride which lasted about 10 - 12 miles along 'A' roads and dual carriageways, it was the first time I had has a live running commentary with it. Both of us had two way radios fitted and Nigel offered to lead the way and give the commentary. I have seen this done on Nigels website and others as well, however, when you actually follow a professional rider such as Nigel and are able to see the whole picture along with the commentary it really becomes apparent that radios are a huge advantage to tutoring. In recent years the cost of these radio systems has dropped quite significantly, and even a cheap set performs quite reasonably, after all it is not as though they need to transmit to the moon and back. There are some major benefits in the use of radio systems during tutoring. They can help the pupil/associate concentrate on the road ahead as they will not have to constantly remember when the next turn is coming up, or constantly look behind them to see the indicators on the instructors bike. Remember, the more time you spend looking behind you the less time you have to check the hazards in front of you. If anybody else out there has the chance of one of these rides, snap his hand off. It is well worth it. The instructors aren't ogres, they are bikers with huge experience and willingness to help. The Driving Standards Agency (DSA) has invited popular TV motorsport presenter Louise Brady and former Superbike Champion and now MotoGP commentator Steve Parrish to support an exciting new scheme aimed at significantly improving motorcycle road safety. The Enhanced Rider Scheme (ERS) will be showcased at the 2008 Motorcycle and Scooter Show, which takes place at the National Exhibition Centre, Birmingham, from November 28-December 7. The ERS is a new training package that forms part of the Government's Motorcycling Strategy (GMS) to help reduce the number of fatal and serious accidents on our roads each year involving motorcyclists. ERS aims to encourage and help qualified riders become safer on the roads and reduce accidents. The DSA is encouraging motorcyclists at the show to visit the stand, to discover the benefits of ERS and look at how it can help biking for the future. Louise Brady said: "The Enhanced Rider Scheme offers an opportunity to iron out bad habits and keep you safer on the roads, as well as helping you get more from your bike. And it can help to gain riders discounts on insurance. "Accident statistics among motorcyclists are high and they suggest that we should all have our riding ability assessed from time to time." The show takes place from November 28-December 7 at the NEC, Birmingham, with a media day on November 27. DSA road safety experts will be joined on their stand by Steve Parrish on November 30 and Louise Brady on December 6 and 7. The DSA exhibition stand will be located in Hall 2, stand 2H15. Funny, I thought it was launched last year as new initiative, with the Hairy Bikers at the show ........... Ah well see what happens this time. When the riding season ends....... Or does it ? A couple of years ago, I would have been thinking of putting the motorcycle up for the winter, but during the last month, since coming back from Normandy, I haven't even thought of doing it. Why, well there have been opportunities to go out when the weather has been quite mild, for the time of year. 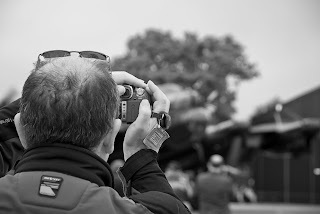 Take for instance last week, when it was BRAKE road safety week - I spent a day with the local Rospa Motorcycle group, helping out with assessment rides at a nearby RAF base. The only problem I had was everybody knew me by my Youtube name - Advancedbiker. "In October 2008, the Motor Cycle Industry Association (MCI) launched the Motor Cycle Industry Trainers Association (MCITA) – an Association dedicated to serving the diverse needs of motorcycle rider trainers and companies engaged in all types of training, including off-road and track days." Away in Germany for a week - Don't phone me ! Autocom are selling off the Duo kits - Half Price. so now is the time to get one. I have purchased the 300 duo kit, watch this space for update re its performance compared to my old Pro 7. (Well I wanted some new headsets and they are £35.00 each). Now I can use my old system for my clients when out training and when we go touring. Do you have any questions or concerns about motorcyclng in Stoke on Trent ? If you see a pothole or any other hazard on a road in Stoke on Trent...please let the council know. For instance diesel spillage or the anti skid surface breaking up. A new motorcycle taxi service has been launched in Stoke on Trent. The rider is a Rospa advanced rider, as tested by myself. Support him in his new venture. The ultimate motorcycle trousers to match the Suzuka jacket. Also made from Cordura with Gore-tex membrane and featuring a Thinsulate thermal detachable lining, 3M reflective panels and CE approved knee armour. Elasticated panels in waist and knees accommodate the riding position and reinforcement panels in the crotch, inside knees and legs ensure durability. Integral kidney support and duplex jacket connecting zips are amongst other features which ensure the maximum comfort and safety of the rider. 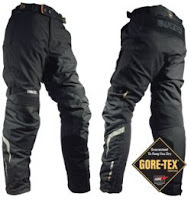 The Bikers Suzuka Goretex Trousers arrived today, fit like a glove, look good and cost only £199.00 - BARGIN. Will put further update on blog when I have been out in them. Well I have decided to go over again to France, but this time for a week from Sunday 19th April 2009 and Saturday 25th April 2009. A big departure for me is using the Eurotunnel, so we will give it a go and spend a night in Northern France before heading to Normandy to Arromanches to see Adrian. We can have a look at some world war 2 sites on the way down and take in the Pont Du Normandie bridge at Le Harve. Our base at Arromanches will be Normandy Beach bed and breakfast for 4 nights and the plan is to do some ride outs and chill at the same time. Then on the Friday travel back towards Calais, but stopping overnight - Back on the Saturday by Eurotunnel. Why the change, well I don't do Rush and it would be nice to travel in daylight on the way back. There are spaces available, so have a think and if you are interested let me know. Training is £100.00 a day on top of all the other ususal holiday costs. I am only taking 6 riders across, as I am looking at taking another instructor with a camera bike. The Driving Standards Agency (DSA) has announced a delay of six months to the introduction of the new practical motorcycle test, originally scheduled for September 29, 2008. The new implementation date will now be Monday, March 30, 2009. What is Advanced Motorcycling ? Advanced motorcycling is an ability to control the position and speed of the machine safely, systematically and smoothly, using road and traffic conditions to progress unobtrusively with skill and responsibility, The skill requires a positive but courteous attitude and high standard of riding competence based on concentration, effective all round observation, anticipation and planning. This must be co-ordinated with good handling skills. The machine should be in the right place on the road at the right time, travelling at the right speed with the correct gear engaged and be able to stop safely on its own side of the road in the distance that can be seen to be clear. I just spent 5 days riding in Sauerland, Germany and I just kept hearing this guy advancedbiker inside my head: "stay out, stay out", "forget the right, plan for the left", "I like it!" Thanks for all the useful videos! I have blanked out the examners name and my DSA ref.no. Well I have purchased a Zumo 550 and I thought I would never use one. I would never be without one now. I had a few problems connecting it, as I was not prepared to pay Autocom prices for a connection lead. I went onto the internet and thanks to Wiz on the VFR forum website, who suggested an alternative. Connect the audio direct to the Autocom and place a noise filter in line. I had too much feedback and alternator noise. Used my existing 3.5 mm lead. So where do you get these bit of technology, yes E Bay, Filter £ 6.98 from Hong Kong and Motorola handsfree Visor Dongle £ 8.99. The other day I wired one of my clients up with a headset and press to talk switch. He had one of my spare radios and it 'worked'. I was able to talk to him and he gave feedback as he rode along. I’m just writing to say how much I enjoyed the day’s training with you. I am really pleased with how much your expert help and advice has improved my riding. I am sure that your course would be of benefit to anyone looking to improve their riding skills and survival on the bike. You made me feel completely at ease, not an easy task. The regular debriefs throughout the day were really beneficial as they helped clarify the things you had shown on the road. It was also useful to follow you on your own machine as this allowed me to follow the line of the bends and see where I should position myself to gain the best view in whole variety of hazards. I was impressed by your own observation of the situations and hazards which you relayed to me as we progressed. It was like training to be a Jedi biker under the tutelage of Master Yoda. I am still amazed at just how far you look when assessing the road. I hope to be able to come back again in 2009 for 2 or 3 days. I know we discussed the costs and whilst they may appear expensive, I believe when you consider the options of not training with an advanced instructor like yourself, the cost is actually worth it. The benefits in terms of improved survivability far outweigh the money spent. I believe the capital outlay for the course should not be the deciding factor. I would urge anyone who is strapped for cash to sell their kidneys or the mother in law’s body to science, or rob a bank to get the money. I would be happy to talk to anyone about how good the course is should they wish to contact me personally. Anyway may the force be with you. I look forward to seeing you next year. PS. Thanks for all the free videos you put on YouTube, they are superb! I have just spent a weekend away doing some training and filming in and around Stratford upon Avon and wanted some biker friendly accommodation for the Sunday night. I did some searching on the internet and came up with Monks Barn Farm, on the Shipston Road out of Stratford. I couldn't have asked for more, when I was met by Rita, the host, who immediately offered my a cup of tea and biscuits on my arrival. There is plenty of hard standing for the motorcycle and most importantly secure parking. The accommodation is first class and very very reasonable. It was a place where you could 'chillout' as you overlooked the valley towards the river Stour. The river is very important as it guides you to a very good pub in the next village, only a short walk through the fields. Advanced motorcycle training is appearing high in the search engine listings when you search for motorcycle training. The occurs when searching for CBT and Direct Access training, hence calls from all over the United Kingdom. I will try and answer all your queries, but CAN NOT DO THE TRAINING. Normandy Trip - Ferry, what ferry ? Well what do you do, when you have arranged a trip and the ferry company, cancel the ferry ? At first you panic then you start planning all over again. We have had to change all our travel arrangements, and are now lookng at spending an extra day in France and heading North the Eurotunnel. Bikesafe and Bikesense in Staffordshire....... These schemes are not advanced training. When you attend Bikesafe, you are suppoosed to be offered alternative training if appropriate after. In Staffordshire, Bikesense seems to be the next step. What happened to free trade, partnerships with other non commercial and commercial companies. I first posted a video on Youtube in November 2006 and it wasn't until May 2007 that I started putting them on more frequently. I never thought it would catch on, but from the feedback I get, they appear to work. So why this Blog entry. Well total views to date : 1,000,249 with 514 subscribers. On Thursday 26th June I spent a couple of hours with Alison Silcox from Motorcycle News. I introduced her to the DSA Enhanced Rider Scheme and we spent some time exploring the excellent roads around Melton Mowbray and Stamford. She passed and was awarded her certificate (ERIC). 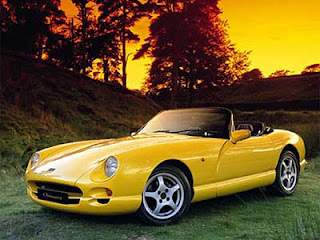 Well this last weekend I spent a couple of days in the Peak District offering advanced driving advice to a group of TVR owners at ROAR 2008. Well TVR Chimeras. What a car from 4.00 to 5.0 litre, V8 music..... No anti lock brakes, traction control and some instances no power steering. My thanks to Julian Smith from Ridedrive Limited who gave me the opportunity. Well, where do I start. Well in the package this morning they included a glossy booklet called,' How to market your business'. Here is a short extract from it:'A Website ...... You will also need to add a 'Contact' section; this must include your name and number, but should include your email and business address. If potential clients can't get hold of you they will go somewhere else and that's money lost for you'. By the way the DSA publication is not copyrighted. I didn't start off very well, as since my initial contact with the examiner, I made him fully aware of the video system on my motorcycle. Just before we went 'on road'-Quote' You will have to wipe the footage after - Data Protection'. I nearly said, Well stuff the check test, it is only voluntary. Having spent 30 years in the Police Force, you bite your lip and go with the system. I could have switched it on halfway round the test route, but could't be bothered. An ideal opportunity of promotion lost as the Examiner who was role playing did a great job. Nothing that wouldn't have been good on video. As a commercial trainer I wasn't pleased about the length of the assessment, how can you assess in 60 minutes, and that includes 15 minutes messing with the intercom. It needs to be longer. The scheme is a good thing, but I think it is suffering from lack of direction, which starts with publicity. I passed with satisfactory in the core competencies at level 4, 1 being the lowest. In the Instructional/Coaching Tecniques I dropped down to statisfactory 3 in Planning and Q/A Techniques. The remaining 5 areas level 4. 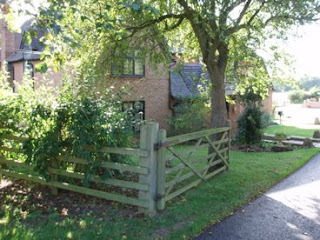 I had to ask myself was it all worthwhile as the scheme is still voluntary.......Was it worth the initial investment ? earn discounts on your insurance as a result! reduce risk and improve your skills. RPMT trainers and Enhanced Rider Scheme info. trainer to assess your riding skills. trainer will give you a DSA Certificate of Competence. have signed up to support the scheme. successfully completing the recommended training. tailor a development programme to suit your needs. Not having a certificate, and not being on the database, meant that the bike was not taxable, and therefore not useable. After more phone calls it transpired that the insurance certificate number on my confirmation of insurance was in fact incorrect - it was some other persons policy. It appeared that I had no insurance at all. Bennetts told me that their system had failed, and that I needed to re-apply and re-purchase insurance, and that they had not taken the money from the original application. Having lost two weeks use of the bike, I then made a second application, which went through fine. However, the first payment was in fact taken - over £180. So I phoned the customer service people at Bennetts who could plainly see that they had made a mistake, and said that they would refund the money taken in error. But they did not. I have made repeated telephone calls to the help desk - the supervisor is almost invariably and conveniently in a meeting, and sorry, nobody else can help, but we will send an Email to the finance department, and they will refund your money, which we have incorrectly helped ourselves to... And no - you can't speak to the finance department directly, as thay are unable to take your call (of course - they do have a phone line so I guess that means that they REFUSE to take my call). So now two months have gone by, by which time I conclude that Bennetts have decided to steal my money, as a refund should take as long to organize as the initial payment. Even the most charitable conclusion would include 'grossly incompetent and negligent' in the description. My last contact with Bennetts was 13th June 2008. I was told to expect a supervisor to call back. it is no surprise that I received no such call. And Bennetts still have my money. 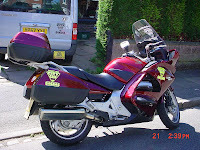 The reason that this came to light is that the motorcycle was not taxed at the time the insurance was purchased – and insurance is required in order to obtain road tax. 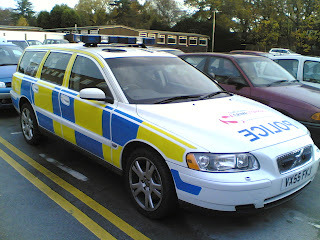 Had this not been the case, the problem would not have been noticed, and I would have been riding an uninsured vehicle. Many others may be doing just that as a result of the incompetence of this company. The help line operator said that many others had been affected in the same way. The company recognises the error, and has had plenty of time to refund the money. They have not done so, and have not returned my calls when they have promised to do so. MOTO GUZZI fanciers gathered at Ross Verdon Motorcycles new premises last weekend to check out and ride the latest models in the range. 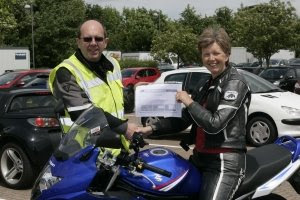 There is a test-ride weekend planned for the 7th and 8th June, when not only will riders be able to enjoy test rides accompanied by advanced riding instructor Nigel Bowers, but will also be able to ride their own machines on routes pre-planned by Ross and Nigel on some of Britain's best motorcycle roads. Yesterday, Tuesday, my e mails went beserk with comments and subscribers to my Youtube channel. In particularly a 'Planned overtake in Wales'. I thought I had got a virus, but no.... Some Youtube reviewer had featured me on the front page of Youtube. Well what has that done to my sanity. Well I had to moderate some of the comments, but the majority were favourable and I gained a lot of new subscribers. I've watched a few of your excellent video clips on youtube and really just wanted to say thanks. I have so far completed my CBT training, am about to do my theory test and then will do a DAS course to hopefully gain my full licence. The plan after this is to get a 600c bike and look to do some further (advanced) training as soon as possible. Watching your videos has really opened my eyes to the amount of learning required for safe riding and that there is so much more to learn after getting a full licence. After watching your videos I hope to be a safer biker. I can't wait to get my licence. The trip to Normandy in October 2008 - Sorry now fully booked ! No places left. I have been with E Bike a number of years so this year I decided to renew with them again. Then the problems started. I renewed my insurance on 10.4.08, paying by credit card. On the following Monday 14.4.08 I had a letter from E Bike, thanking me for the renewal and please find enclosed the details of your direct debit payments for the next 12 months. Was I paying twice...... I rang them up, computer error. Ah well I accepted that, but it gets better, on the Friday I get a letter from E Bike saying 'Sorry to hear that you have cancelled your insurance'. I have been running around for a week without any. I was fuming and it took me 5 and a half hours to get through to them on the help line. I went onto Tesco in the meantime and got a quote with A Quote cheaper than E Bike and with better cover, Helmet and leathers, breakdown included. Instead of £210.00, now paying £200.00 for 3 bikes, and it includes business use. Arranged via Nowich Union. I demanded compensation off E Bike and got £25.00, and an e-mail with an appology. Computer error and poor staffing levels..........Yea OK ! Quote:. 'Why are you apologizing for posting intelligent videos on youtube? Its great to see a biker with a brain, full safety gear and something to share...other than there dangerous riding or lack skills and knowledge. Tesco motorcycle insurance is a new player in the Motorcycle Insurance business and from my point of view well worth a serious look at. I had been on the compare site before renewing my insurance and could not find anything for multibike cover. I phoned them and they came back with a cheaper quote, which included more cover, helmet and leather cover, RAC recovery etc. They did not even charge for using the credit card. First post removed Spam comments made. Thanks for taking the time to send me the DVD. I watched it from start to finish as soon as it arrived. I really like the way the DVD has been put together, everything is simple and concise and explained in a way that makes it easy to memorise and put into practice when out riding. I think the DVD has some really useful techniques and ideas that a rider of any level could utilise in order to make there riding experience safer and more enjoyable. The thing I noticed most is how the riders begin to 'flow' all of the techniques together. I will definetly use this DVD as a reference point in the future and look forward to passing my DAS so I can continue with advanced training. Well it has taken me years of trying, but I think I have got it right with the way I post videos on the internet. I have just started a 10 session course and between sessions, which are a week apart, I have posted footage of the first session on the internet. The client can then look at his riding before the next session. I have decided to use 'Flash' software. Here is some of his feedback. 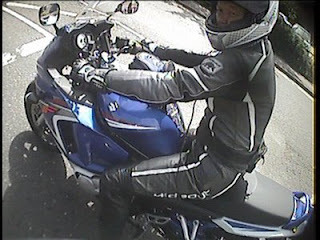 I have done an Enhanced Rider Scheme ride... and I'll be writing about it in the mag in the near future. However, to scoop myself slightly, in a nutshell I'd say it's a good thing. Certainly, anyone doing Direct Access would definitely get a huge benefit from ERS. In fact, it would help most riders I know - and absolutely all of them should benefit from the insurance discount it could lead to (I'm still investigating this aspect of it at the moment, so can say only that it promises a discount for those who complete it). Will it stop people crashing? Probably not. Is it the last word in advanced riding? Definitely not (I'm a RoSPA instructor so have high expectations). But then, it's not meant to do either. What ERS should do is give people the skills to help reduce the number of needless crashes - particulalry among new riders - and open the doors to further training for those that want to take it further. Right or wrong, CBT is very basic. Direct Access/the test is less basic but not comprehensive. Now the ERS will give a widely recognised, easily accessed (and, if DSA do it right) heavily promoted way for people to get the additional training everyone says they should be given. Surely this has to be a good thing. I see you still have my link up for raising money for Leukaemia Research. Could I please ask you to update it. I am again riding the Beach Race for Leukaemia Research, but this year, I am joined by Stuart Holland, and Kevin Harvey in my quest to raise a minimum of £3000. We have again got a shirt "doing the rounds" to be signed by many of the top stars of the motorcycle world, and so far has the signatures of David Knight, Paul Edmondson, and was at the London Supercross last night, so we are awaiting details of who signed it there. Not only that, but we also have a shirt which has been signed by some of the top AMA riders competing in the American Supercross (Chad Reed, Mike Alessi and Grant Langston to name a few) This years addition to the "sponsored ride" is a raffle, for which we so far have 24 items to raffle off (if you wanted to add to that list, please feel free) The website is being updated as we speak, and it lists all items to be raffled off, as well as photos of the items and the signed shirts. BIKERZ TYRE AND PERFORMANCE CENTRE - Fast-Fit tyre centre for bikes, (the only one around for miles! 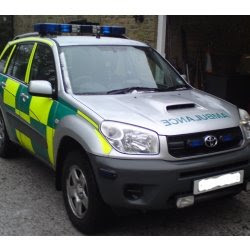 ), we quickly responded to the demand for servicing & repairs at a reasonable cost, without having to book weeks in advance, and the need to supply quality parts & accessories. This has now extended to us investing in a state of the art Fuchs Dyno, allowing us to keep up with the advances in technology such as fuel injection, which is now common place on modern machines. Virtual Vic spent a day with Advanced Motorcycle Training, based in the Midlands, to find out how useful a regular series of assessed rides can be. There are a rising number of two-wheeler accidents in the UK, as more riders aboard large, 600cc+ machines come a cropper on our scenic roads. 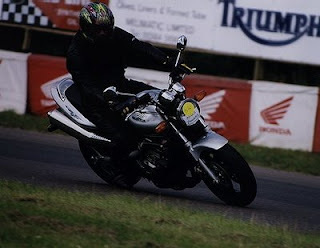 Although the causes are often hard to establish when there's only bike involved, it is obvious that many riders today simply cannot handle the 170mph motorbikes they own, but vanity prevents them from asking for training tips or guidance. In a way, that's understandable, as almost every one of us thinks we are `good' riders, but as I found out with a day's ride in North Wales with Nigel Bowers from Advanced Motorcycle Training, there's always room for improvement. 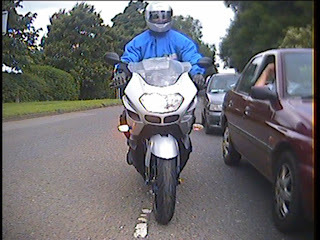 The whole rider assessment was also video taped, via an on-bike camera, as Nigel followed me for about 20 miles. Although the session was simply a `taster' it was just a few minutes before I realised how many potential hazards I was oblivious to, as I merrily rode along the scenic roads near Llangollen. Nigel had his radio linked to an earpiece inside my Arai, so I could hear his running commentary, which identified all kinds of traffic problems looming ahead. He even spotted the address on a foreign registered truck three cars ahead, which was a very subtle touch, as you might expect an overseas driver to make sudden moves, if for example they were lost, or looking for a trading estate. After a much needed tea stop, we stopped to review the footage and chat about the ride's highs and lows, along with Andy Gralton, who was a relative novice at motorcycling, but keen to learn techniques which could save his life one day. It was useful to get another opinion on my riding style, along with some good advice on positioning the bike for maximum view around corners, instead of taking a `racing' line sometimes. Nigel also spotted that I got too close to the back of vehicles in front, which restricts your view - not good when you need maximum vision ahead to plan overtaking moves. The day made me think harder about `reading' the traffic, and the road `furniture' far ahead in the distance, which is the key to anticipating dangerous situations, instead of just reacting to them. The type of riding we were doing was brisk, not fast, but it was a million miles ahead of the urban pootling about that most riders do on a motorcycle test, or the training leading up to that test. My own feeling is that every rider needs some extra tuition after passing the bike test and one day, the government will make this a legal requirement before you can ride a bike which makes more than 100bhp. This is a short article designed to give some basic tips on motorcycle tyre maintenance and safety. The tyres on your motorcycle are an engineered component, for example did you know each tyre is assembled from up to 30 component parts? each part is designed to perform a specific task, and different rubber compounds are used in each part of the tyre 20 to 30 different rubber compounds can be used in a tyre. These rubber compounds are reinforced with materials such as steel, nylon,rayon,polyester,and kevlar. So whilst tyres appear round, black and boring they are in fact the most important components on your machine. As a general rule most motorcycle tyre manufacturers recommend that you stick with the original sizes of tyre as specified by your machines manufacturer, this is because a great deal of testing takes place before any motorcycle manufacturer decides on tyre sizes for a particular model. Whilst it is often possible to fit alternative sizes, this should only be done after consulting the motorcycle manufacturer. Without doubt the most important factor with regards to tyre safety and life is inflation pressure, it is the air inside the tyre that carries the load so always use the inflation pressures as quoted by the motorcycle manufacturer. Check the inflation pressures when the tyres are cold, this is because tyres warm up in use and inflation pressures which are correct when the tyre is cold can increase by 10% when the tyre is hot. So setting the tyre at the correct cold inflation pressure when the tyre is hot will result in an under inflated tyre. Always make sure you have valve caps fitted, whilst they may seem small insignificant items, valve caps perform a vital function, they prevent road dirt entering the valve stem and damaging the valve core. A damaged valve core will allow the tyres inflation pressure to leak out. You should inspect your tyres regularly for adequate tread depth and obvious signs of damage, such as cuts and bulges. The minimum legal tyre tread depth for Motorcycles over 49cc is 1 mm, however this should be treated as a bare minimum and many motorcyclists replace their tyres at 2 mm. Some motorcycle manufacturers recommend that tyres are replaced long before reaching the minimum legal tread depth, for example Kawasaki say that tyres on their GPX600R and GPX750R should be replaced at 1 mm front and 2 mm rear for operation at speeds up to 80 MPH (130KPH) and 1 mm Front and 3 mm Rear for speeds above 80 MPH (130 KPH). You can find the tread wear indicators on your tyres by looking for the letters "TWI" in the shoulder area of your machines tyres, on closer inspection you will see that there is a slightly raised area in the base of the tread groove at this point. Tread wear indicators serve as a quick and simple aid to checking tyre tread depth if you don't have a tyre tread depth gauge available. Tyres can sometimes be repaired, but care has to be taken, firstly the standard for tyre repair in the U.K is British Standard BS AU 159F. This standard lays down in great detail the way tyres should be repaired, the amount and type of damage that can be repaired. As you can imagine the standard is very detailed and as the purpose of this article is to give you some tips on tyre care, so I will sum up the main points you need to be aware of. 1. Some high speed rated tyres cannot be repaired at all. This generally applies to tyres with a speed rating higher than H (130 MPH). This is because tests have is because tests have shown that repair materials will not work in these highly stressed tyres. 2. All penetrations should be plugged to prevent the ingress of moisture into the tyre structure. 3. Tyres should not be repaired with sealants. On this latter point it is my personal opinion that sealants of both the prior and post puncture type are nothing short of dangerous, and you are much safer pushing your bike home than using them. Bridgestone and other tyre manufacturers recommend that you "Run in" new tyres for approx. 100 miles before they are used to their maximum. CLEANING YOUR MACHINE, OILS AND GREASES. This may seem a subject that has nothing to do with tyres at first but it is vital that you prevent your tyres coming into contact with any petrochemical such as Oil, Diesel , Gunk or other propriety degreaser for any length of time. This is because oils are used in the manufacture of tyres, infact synthetic rubber is produced from oil and oil based products will attack the rubber compounds used in tyres. Rubber which is exposed to oil based substances for any prolonged time will change from a hard to a softer "spongy" texture, the result can be a lack of grip or failure of the tyre structure. So if like me you use a degreaser to clean parts of your machine, take care to prevent any coming into contact with your tyres, and if by accident any should find its way onto the tyres wash or wipe it off immediately. For the same reason take care at filling stations around Diesel pumps, there always seems to be a degree of spillage onto the forecourt try to avoid riding over these areas. There you have it I hope this guide has been interesting and informative, I have tried to cover the main points in tyre care. If you need any further help you can always contact any of the leading tyre companies, they all operate technical help line which provide advice on tyre availability, selection, and application. Welcome to the web site of speed. So you want to find out what it is like to ride pillion on a Hayabusa. You want to experience speed, but you don't want to be the one up front. Well which bike would you choose. I chose the Hayabusa being a bit of a speed freak. The first thing that I did was to find an experienced rider or should I say 'pilot' as these bike do seem to touch the road, they seem to 'fly'. My 'pilot' for the day was Nigel. 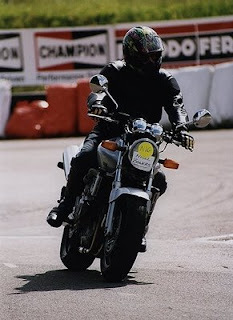 Nigel is not just any rider, he is police trained (ex bike cop), he is also an Advanced Riding Instructor. Nigel arranged to loan the Hayabusa on the following Thursday from D & K the motorcycle specialists for Stoke-on-Trent, what more could I ask for ?. Thursday came and I thought ''what have I done ?''. 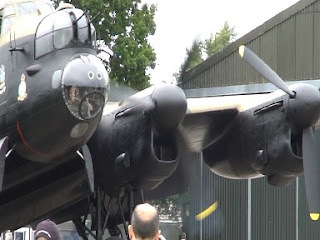 I had arranged to meet Nigel at D & K at 10 am, I didn't sleep very much the night before, couldn't keep it off my mind what it would be like to fly without wings. 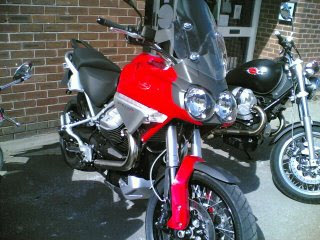 Parking up my bike, I turned around to see Nigel with a beaming smile on his face and by his side a black & red Hayabusa. I knew then that I had made the right choice. Nigel asked '' well are you ready to ride ? '', the sky was overcast and there was a threat of rain. We stopped to pick up some petrol and then headed off onto the open road. Nigel tried me out at first on some shallow bends and then when he'd got used to the way that I rode pillion, he went for it on some of the more sharper bends. We took some tight bends which would have been bad enough on a track, but with cars coming at you sometimes over the centre line could be horrendous, nevertheless Nigel took it all in his stride. Well he should, I have not mentioned so far that Nigel is an advanced riding instructor. I could not see the speedometer, but I don't think we broke the speed limit, it just felt on the back as though we were going twice as fast. He made a pit-stop and discussed the ride so far. I made a remark that it was the first time that I thought that I should have been wearing knee sliders. Nigel just laughed and said that we still had the return journey to make. By the time we started off on the return journey, the roads had become wet and greasy however the bike took all that we could through at it. It just purred like a big cat and seemed to be saying ''what would you like me to do next ?''. When we returned to D & K, Nigel still had not ceased to surprise me, he rode the Hayabusa through the garage between rows of parked bikes with the isles no wider than the Hayabusa and I just closed my eyes, for the first time that day. After parking the bike Nigel asked ''Well did you like that'' , what could I say, I replied ''Yes and when can we do it again''. Which bike next ! Thanks Nigel. For a number of years now I have been using a web site in the United States as a source of information on all times motorcycle. The webmaster Rick, kindly reviewed one of my promotional DVD's and now he has put a video page onto his web site Web Bke World. Thanks Alison, I am in Motorcycle News again, issue dated 9th January 2008, page 34. 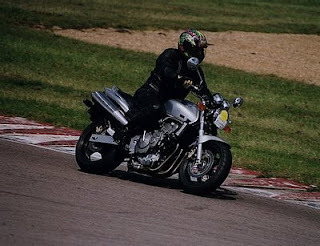 Alison has reviewed her year with the Ducati 695, which included an assessment session with me. She combined my training with a track based courses and her confidence was boosted by both. I have joined FACEBOOK and used it to add some photos.